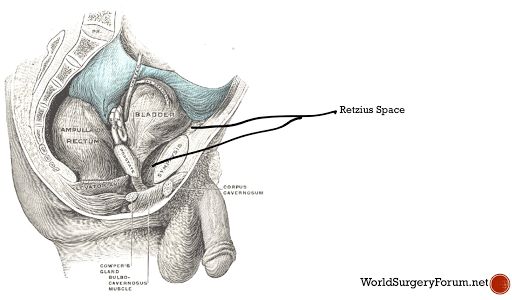 This preperitoneal space communicates with prevesical space of Retzius. It is divided into two compartments. The medial compartment contains vasculature including the femoral artery and vein. The lateral compartment allows for passage of the illiopsoas (primary hip flexor), allowing attachment to the femur, along with the femoral nerve. These both form the site of surgery in Total extraperitoneal repair of inguinal hernia.